The Coastal Plains Institute (CPI) is a nonprofit organization based in Florida. 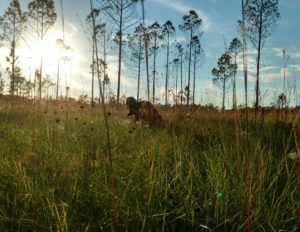 Our mission is to preserve the biotic diversity of the Coastal Plain of the southeastern United States. We believe our goal can best be achieved through three activities: Education, Research, and Land Conservancy. We invite you to explore our website and not only learn all the ways we are accomplishing our objectives but also how you can get involved and help us achieve our mission! We have launched a new series of biodiversity ecotours! Come celebrate fall with us by learning about many of the plants and animals that make Florida’s Big Bend region a global biodiversity hotspot. We will travel to our own Rowletts Creek Preserve, located in the heart of the Apalachicola Lowlands, and explore unique habitats such as pitcher plant bogs, ephemeral wetlands, blackwater streams, and much more. The Munson Sandhills region of the Apalachicola National Forest, just south of Florida’s capital city Tallahassee, is rich with small, isolated wetlands that hold water only during certain times of the year and provide breeding habitat for a suite of amphibians that only breed in these fishless wetlands. We are now taking volunteers on an on-going basis. 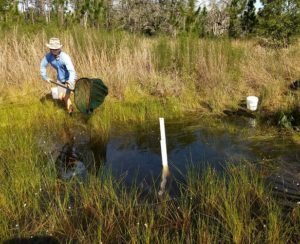 Learn about the many past and present research projects with which we are involved including ephemeral pond-breeding amphibians, ephemeral pond restoration assessment, eastern diamondback rattlesnakes, wetland augmentation, and much more! 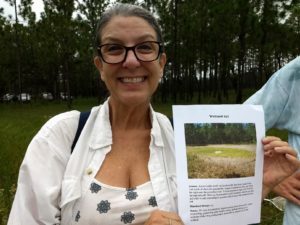 This page provides more information about our What Lives in a Wetland program through which we invite the community to visit our research site in the Munson Sandhills (Apalachicola National Forest), our new Wetland Wagon program that brings our research into area classrooms, our Adopt an Ephemeral Wetland program, and other outdoor learning opportunities. Click here to learn about our two conservation lands. 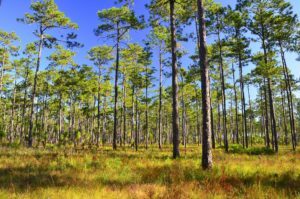 Rowlett’s Creek Preserve is an 80-acre in-holding in the Apalachicola National Forest that we are converting from a slash pine plantation back to a native longleaf pine forest. Crown Point Preserve is a 170-acre white-topped pitcher plant bog on the eastern shores of Perdido Bay that we acquired as a mitigation package for a nearby subdivision. CPI offers many services including guided field trips and ecotours, ephemeral wetland inventory and assessment, services related to natural history documentary films (equipment, land, habitats, etc. 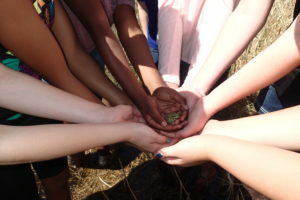 ), creation of Adopt a Wetland programs, and lectures. The research and other work of Coastal Plains Institute biologists have been featured in many documentaries, TV shows, newspaper articles, and other media over the years. Check out this our media page for details and links. There are several ways you can get involved and help preserve the biodiversity of the southeastern Coastal Plain such as: becoming a member, enrolling in our adopt an ephemeral wetland program to monitor amphibian populations in the Apalachicola National Forest, volunteering to help us with our educational and research efforts, and following us on Instagram, Twitter and Facebook.